ALERT: Includes Minimum Wage Increase in New Jersey Effective January 1, 2019. The New Jersey Minimum Wage poster has been updated to reflect an increase in the state minimum wage. The minimum wage will increase from $8.60 per hour to $8.85 per hour effective January 1, 2019. 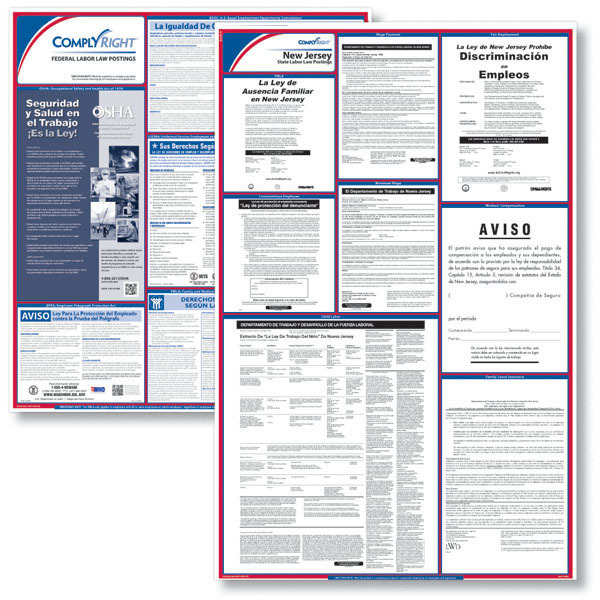 The New Jersey Recordkeeping poster has been updated to reflect a change to the contact information when filing a complaint. The New Jersey Fair Employment poster has been updated to reflect a new protected category. Employers are now prohibited from discriminating against breastfeeding employees. 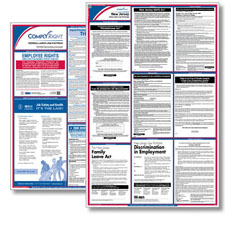 The New Jersey Fair Employment poster has been updated to reflect a new protected category. Employers are now prohibited from discriminating against employees due to pregnancy. New law requires employers to post a notice that explains an employer’s recordkeeping obligations under state law. Employers must keep records regarding wages, benefits, and taxes.